Aalayam - Colors, Cuisines and Cultures Inspired! : Festive Mehndi (Henna)! Little did I know that what used to be a childhood fascination, would turn out to be a bohemian art form of temporary tatooing on body parts.. extending itself to a fashion statement across the world! 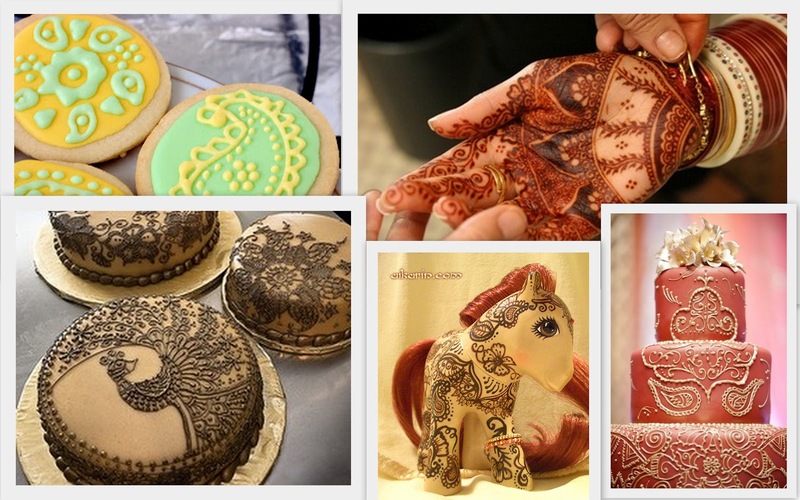 Welcome to the world of Bridal Mehndi, Henna Tatoos, Mehndi inspired Cakes and Couture! 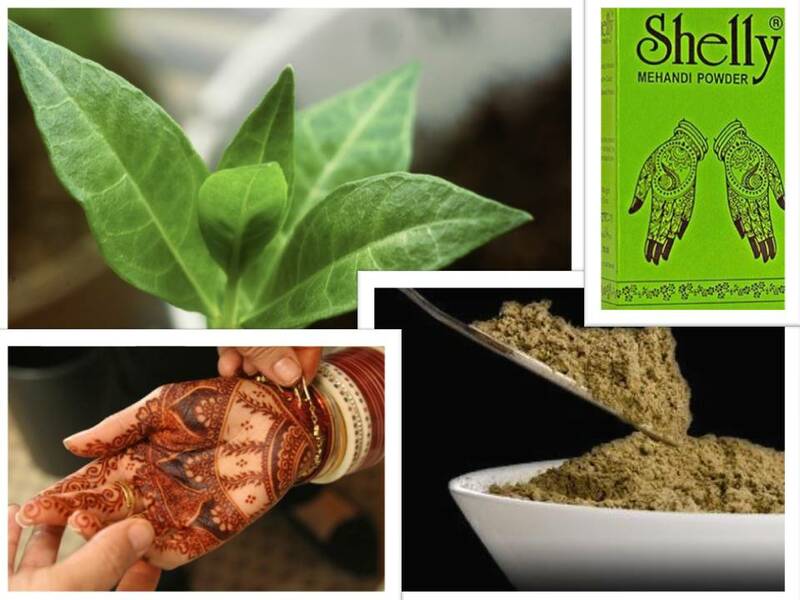 Henna (Lawsonia inermis, also called mehndi) is a flowering plant used since antiquity to dye skin, hair, fingernails, leather and wool. 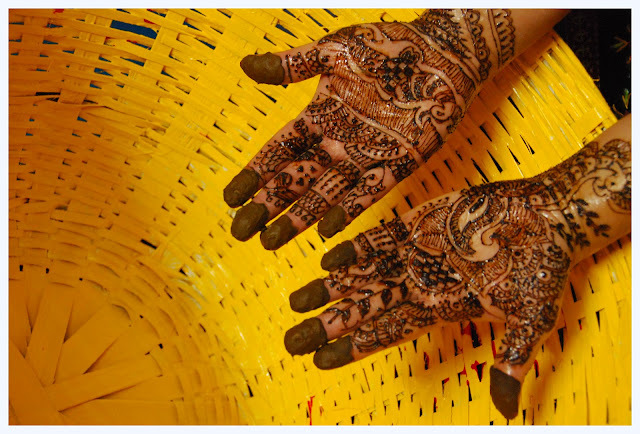 Henna is also used for dye preparations derived from the plant, and for the art of temporary tattooing based on those dyes. Images from Google. Henna is abundant with medicinal properties, used as a liniment for its anti-inflammatory attributes, and is a prime herb used in Ayurveda. However, the most glamorous characteristic of Henna is its ability to lend itself to global design, decor, culture and couture with its coloration and versatality. Heard of Henna inspired cakes? How about cookies? Cupcakes? My Little Ponies? Celebrities like Madonna, Erika Baadu and Sting have made this exotic herb a mainstream commodity and design inspiration. Henna Tatooing, or adornment of henna paste into intricate patterns and designs on the palms, feet and other body parts (! ), which was until recently, a very traditional art indigenous to India, Pakistan, Bangaladesh and other countries in the Asian penisula, now is a global phenomenon vying for haute attention. 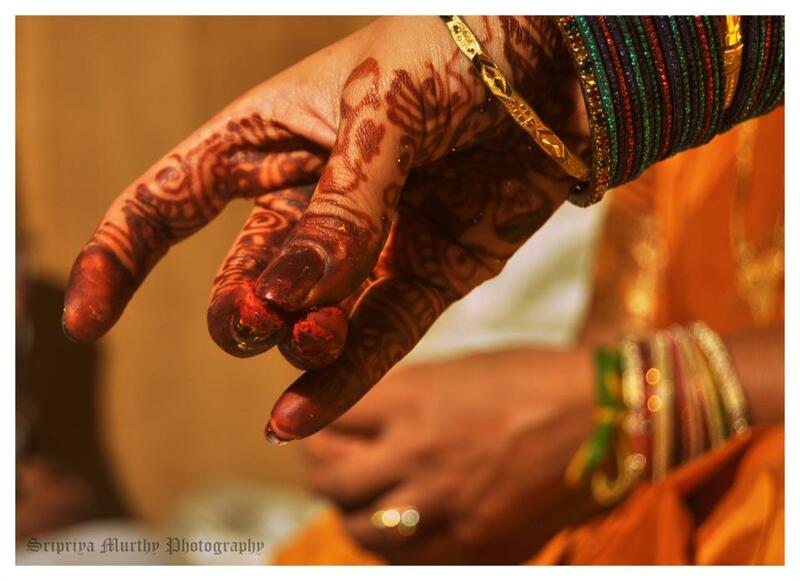 Bridal Mehndi - Photography by Sripriya. 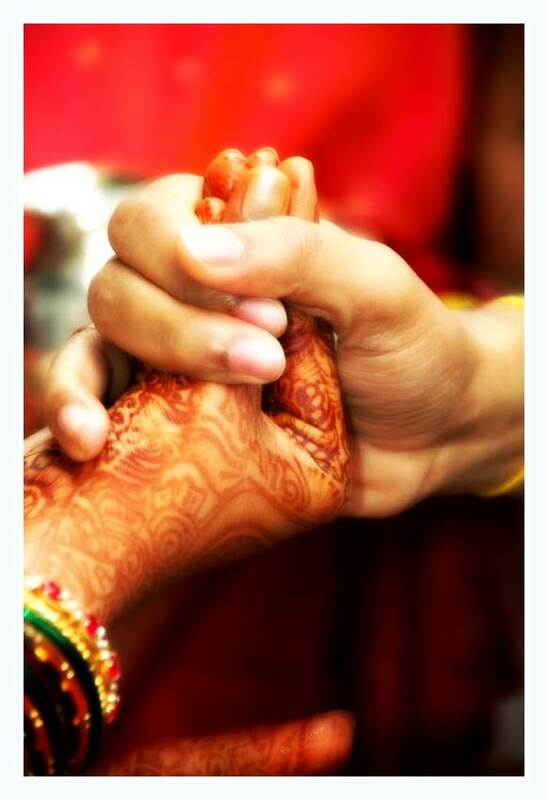 Visit Sripriya Murthy Photography on Facebook. These freshly applied Mehndi hands are Deepa's. Shot lovingly by her husband UJ. Mehndi is left on the hands and feet overnight for the colors to permeate through the skin. Decoctions of tea and lime paste are dabbed on the dry design patterns to seal and intensify the colors. The dried and caked paste is washed off (or scraped off) the next morning, where the whole family waits with bated breath to see the saturation of the color on the hands and feet! Your's truly - hands held by her significant other! Great post! Love the henna-inspired doodling on the cookies 'n' cake!